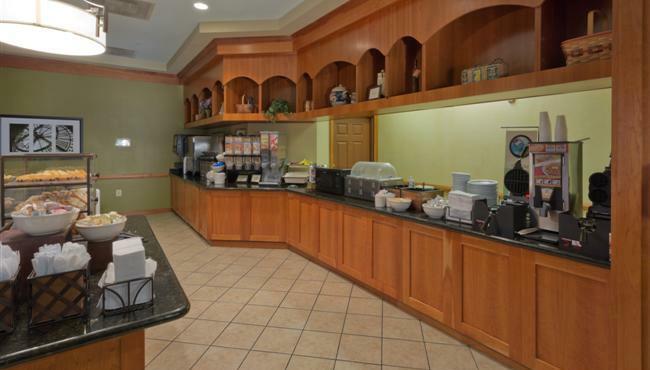 At the Country Inn & Suites, BWI Airport, we make mornings brighter with a free, hot breakfast that includes filling options like sausage and eggs, plus lighter fare like yogurt and fruit. When it’s time for lunch or dinner, you can walk to nearby Italia’s Corner II or drive to local restaurants like G&M Restaurant, home to some of Maryland’s best crab cakes. Mon-Fri, 6:00 a.m. - 10:00 a.m.
Sat-Sun/Holidays, 7:00 a.m. - 10:30 a.m.